Welcome to DutchCrafters collection of Amish Hall Trees! Our handcrafted, hardwood Hall Trees will bring organization, and foyer decor to your home! Hall Trees typically feature both a place to sit as you wait by the door, and a place to hang you coats and hats. Hall Trees give your guests a place to wait, or a seat from which they can take off shoes or boots. They provide both warmth and an inviting ambiance to the entryway of your home. Each and every Hall Tree on DutchCrafters is a true American product, designed and constructed in the U.S. All of our products are handcrafted by Amish craftsmen in Ohio, Montana, Indiana and Pennsylvania! The hand-craftsmanship of our Amish woodworkers is second to none. Each Hall Tree is inspected throughout development for material or workmanship-related defects. In sharp contrast to imported products, our American made furniture is not mass produced, and attention to every detail is given by a world class craftsmen. DutchCrafters is a proud member of the Sarasota Chamber of Commerce and has been awarded an A+ rating from the Better Business Bureau. DutchCrafters Amish furniture specialists are available 5 days a week to assist our customers with options and customization, as well as help you begin your order. Our specialists work with designers, home-owners and business-owners alike on a daily basis. So don't hesitate, call us toll-free today. 1-866-272-6773. 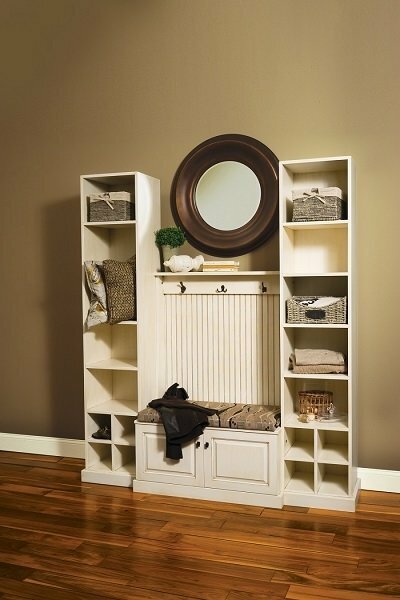 Be sure to shop our entryway furniture and log furniture selection as well.